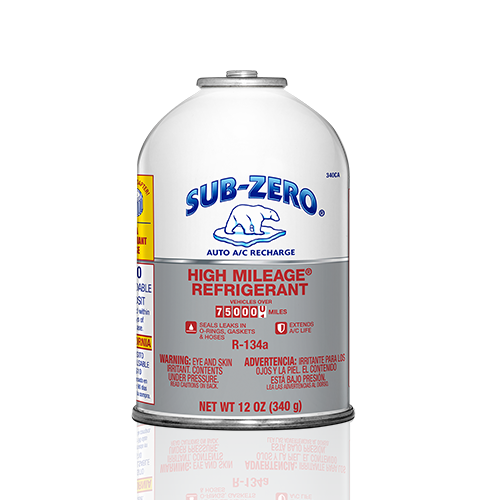 Sub-Zero® High Mileage provides approximately 11 oz. 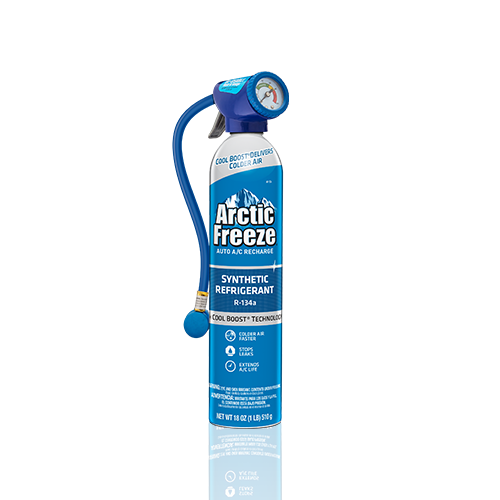 of R-134a to replenish A/C systems with lost refrigerant. Approximately 1 oz. 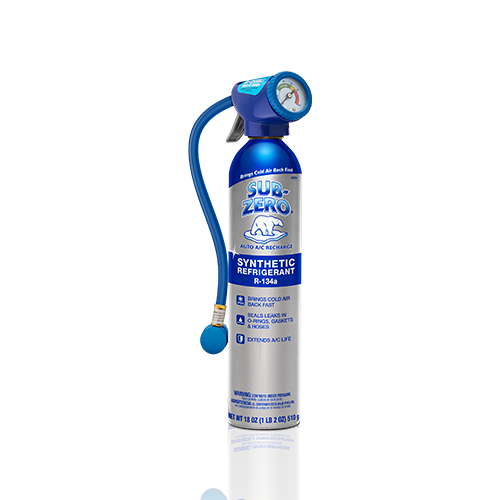 of additives are used to seal common leaks in rubber components. 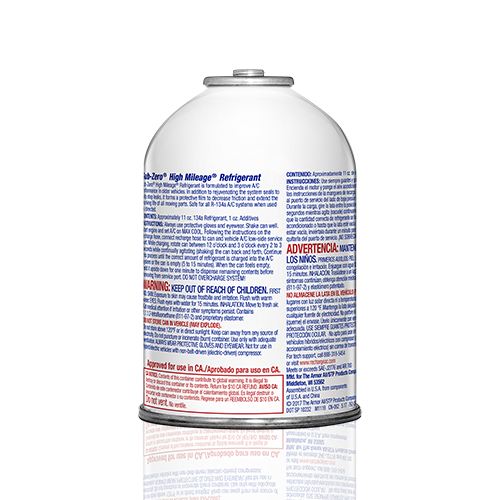 Specifically formulated for vehicles with 75,000 + miles, anti-wear additives aid in extending A/C system life by forming a protective film in the system, decreasing friction.